Inspired by roguelikes, “Below” is a game of exploration where players use their skills at combat to delve deeper and deeper into the vast unknown. Capy Games’ co-founder and creative director, Kris Piotrowski, and co-founder and president, Nathan Vella, sat down with Xbox Wire to answer some of our questions about their new project, including its art style, how the game ended up on Xbox One, its soundtrack and more. You just announced your new Xbox One title “Below.” How would you describe the game? Kris Piotrowski : “Below” is an adventure game which focuses on atmosphere, exploration, survival and skill-based combat. Many of the ideas in “Below” are directly inspired by roguelikes of yor, though we’re approaching every aspect of the design with a uniquely stylized perspective. “Below” features no text, no hints and no dialogue. It’s all mood, atmosphere and soul… and skill. The game has a really unique aesthetic, particularly the scale – what’s the idea behind this? Kris Piotrowski : We wanted to create a world that was rich with tiny details, and create a space that felt grand because the character was so small, and so far away. The scale also helped enforce some of the main ideas found in game: the tiny wanderer players control is highly capable, but very fragile. Their time on The Isle is short and fleeting, one false move away from permanent death. The art style and scale help evoke this feeling of loneliness and vulnerability: The wanderer feels far away from the player, and the environments feel vast and intimidating by comparison. The game scale also offers many unique gameplay advantages, but we’ll reveal more about that in the future. How did “Below” come to be an Xbox One game, and what has it been like developing “Below” for Xbox One? Nathan Vella: We had been working on “Below” for a while before even considering platform, and by the time we were ready to find the game a home we had a clear picture of what we thought would make the game special. We had already started working with Microsoft Studios on “Super TIME Force” (which hits XBLA on Xbox 360 this year), so “Below” definitely flowed from that relationship. In the end, Xbox One really afforded us an opportunity to develop on a platform that fit exactly what we wanted to do with “Below,” in terms that really worked for us. It’s a great fit. Since then, “Xbox One” development has been very smooth – and this is really important to us, since we really want to focus as much of the team as possible on the core of the game — things like exploration, combat, and aesthetics. For us, working with Microsoft Studio comes with some big advantages, even beyond early access to a new platform. We’ve had, and will continue to get, real support from a lot of the Xbox One teams. When you can jump into a meeting to discuss cloud features with a lead on the team in charge of those features, you know things are going to get done and they’ll get done right. The fact that they’re looking to our game to help ‘shape’ some of Xbox One features & systems is amazing, and very handy too! Another big part of the announcement was that Jim Guthrie is doing the soundtrack. How did this come to be? Kris Piotrowski : Working with Jim Guthrie and Superbrothers on “Sworcery” was one of the most rewarding collaborative experience of my life, and a great learning experience for Capy Games. 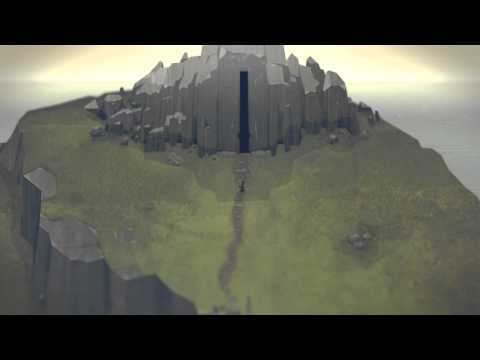 As soon as we wrapped up “Sworcery,” we immediately asked Jim to help us with Below. Though Below is in no way a sequel to “Sworcery,” it does dip into some of the same pools for inspiration. And of course, creating “Sworcery” has made it a permanent part of our sensibilities. The focus on atmosphere, mood and soul is something that we’re hoping to continue and build on with “Below,” and Jim is a dang soulful fella. Plus by now, we’re all good friends and love working together. Nathan Vella: It’s really amazing to create a new, interesting space for people to explore while listening to Jim’s beautiful music. We’re excited to be working with that crazy dude again.